Based on the true story of a parents worst nightmare, this powerful drama retells the shocking real life story of the 1993 Christmas Eve abduction of a newborn baby. Based on the true story of a parents worst nightmare, this powerful drama retells the shocking real life story of the 1993 Christmas Eve abduction of a newborn baby. 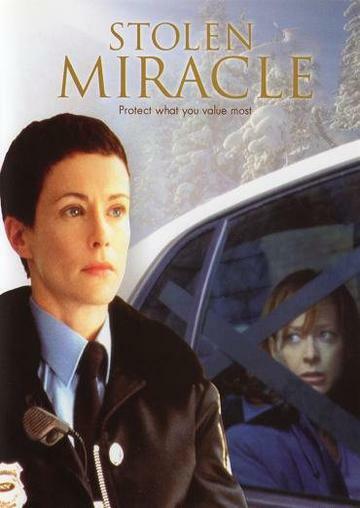 Jane McKinley is a hard-working cop and mother of two, whose relationship with her husband Mike is frayed by the long hours and demands of her job. In the midst of their long awaited Christmas together, Jane receives a call. A baby has been kidnapped from the local hospital by a woman posing as a nurse. Jane leaves the comfort of hearth and home to answer that call and must unravel a complicated series of clues in a race against time to find the baby. In her determination to bring the baby home for Christmas, Jane rekindles the loving bond that keeps her own family together and realises they have been there for her all along. Running time 1 hour 26 minutes. To purchase the Stolen Miracle Movie Download please click the "Buy Now" button below.